The second paper from my PhD project came out a couple of weeks ago in the journal BMC Ecology. This was very timely since I defended my thesis only a week after (read about my defense here). 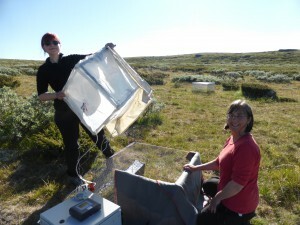 This paper is the first to report results from our experimental set-up in Dovrefjell in Norway. 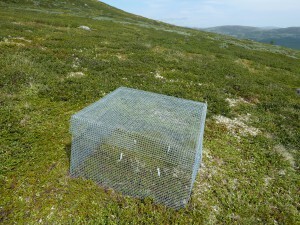 Several tourists and locals might have wondered what these small weird cages are doing in the landscape near Hjerkinn, in Dovrefjell, and here comes the explanation: they keep out herbivores such as sheep, moose, lemmings, voles, ptarmigan, and reindeer. But why would we do that? Our motivation came from a trend seen in alpine and artic areas in the past 30 years, that there has come more shrub vegetation, a so-called shrub expansion. 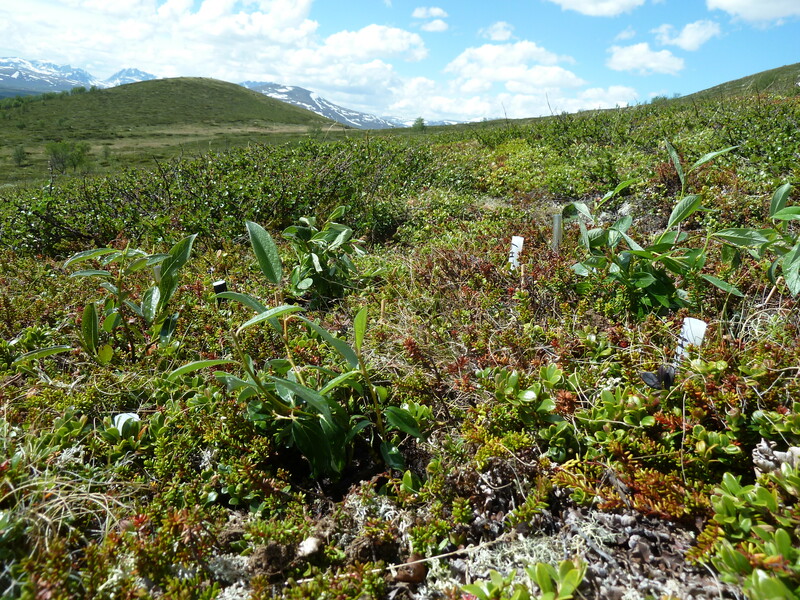 These shrubs might change the carbon cycling and storage in the alpine and arctic areas (see my first PhD paper and the Gemini article about it), and the interesting thing is that herbivores have shown to reduce these effects and might potentially “reverse” the expansion. In 2013 we carried the exclosures to our field sites and put them up. It was not light weight, and we fortunately had several strong helpers. 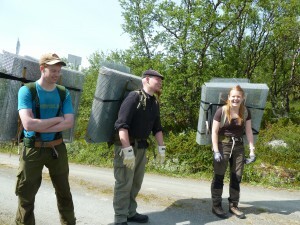 Øystein Opedal, Christian Stærke Hansen, and Kristin Odden Nystuen and Øystein Opedal ready to carry up the exclosures. 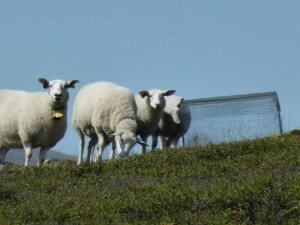 Photo: Mia Vedel Sørensen. Setting up the exclosure in the meadow. Photo: Mia Vedel Sørensen. The finished exclosure in the heath. Photo: Mia Vedel Sørensen. In 2014 we planted small willow (Salix) plants, to simulate shrub expansion, to see how they affect the different communities. The Salix plants we received from Inge in Southern Norway who has a nursery specialized in native Norwegian plants (Norske Naturplanter AS, Færvik, Norge). Similar plants have been used in a big nature restoration project on in Hjerkinn lead by Dagmar Hagen and Marianne Evju from NINA, and we could conveniently get the 48×5 plants that we needed from the 25000 plants produced for the restoration project. Many thousand of Salix cuttings from Naturplanter AS in Færvik, Norway. Photo: Mia Vedel Sørensen. 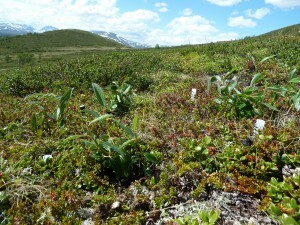 The Salix plants were rooted cuttings from individuals collected in the Dovrefjell. Photo: Mia Vedel Sørensen. 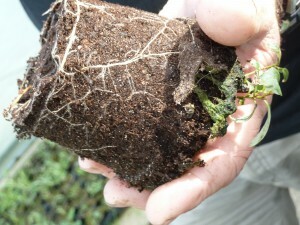 Salix introduction into heath. Photo: Mia Vedel Sørensen. 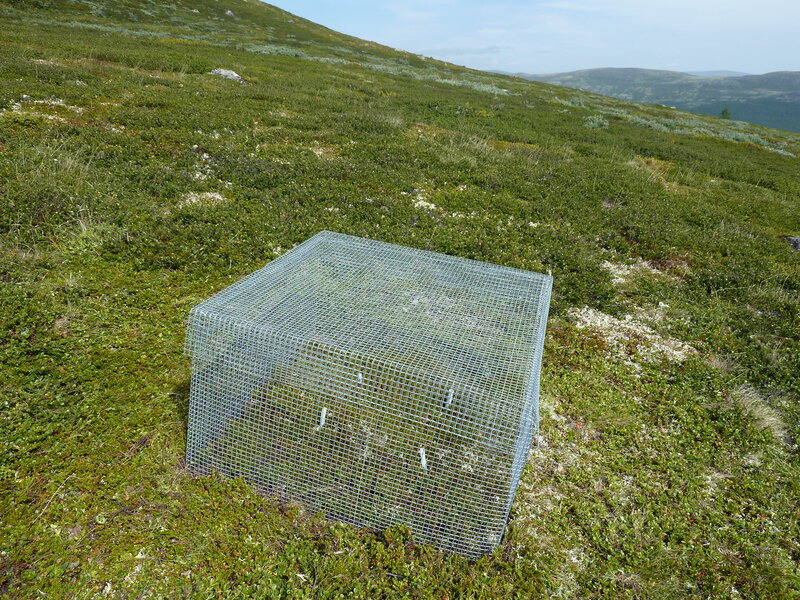 In this paper we are looking at the Salix planting and exclosure effetcs on carbon sequestration (biomass and carbon fluxes) and we measured this in the summer 2015 (see here how we did it). 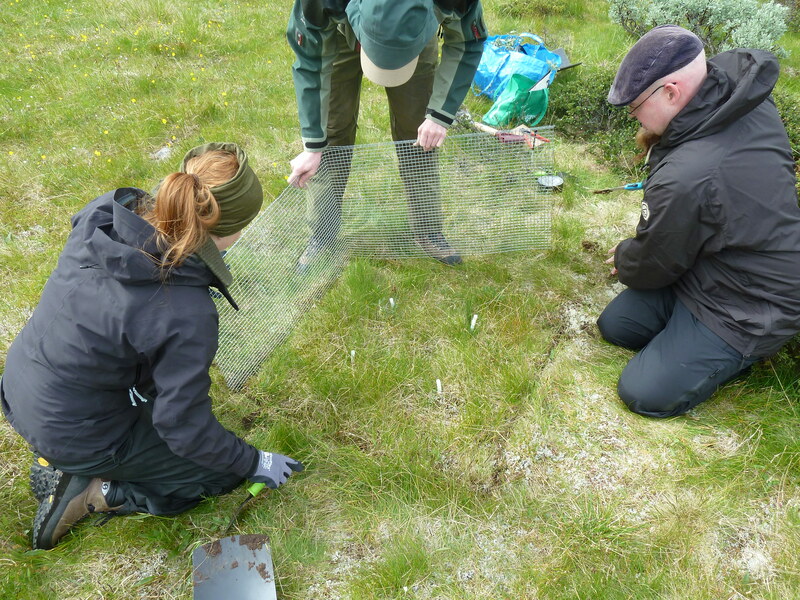 CO2 measurements in the exclosure in the meadow. It was not easy, and with time we figures out that blankets on the sides are nice in order to not damage clothes. Diana Eckert and Sigrid Lindmo assisting me. Photo: Mia Vedel Sørensen. 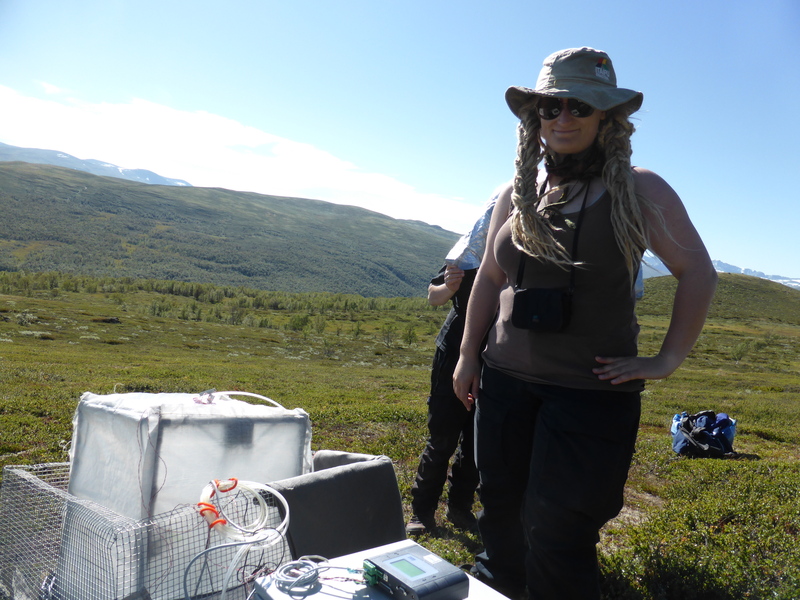 Me during the CO2 measurement in the heath. Photo: Diana Eckert. 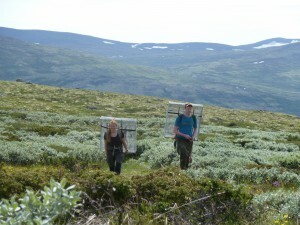 We set up the experiment in three plant communities: a heath, a meadow, and a Salix shrub community. We only found significant effects of the treatments in the heath community, where biomass increased when there were no herbivores. We also found less ecosystem respiration with no herbivores. It was a bit puzzling that we only found effects in the heath, where the vegetation is least attractive to the sheep. 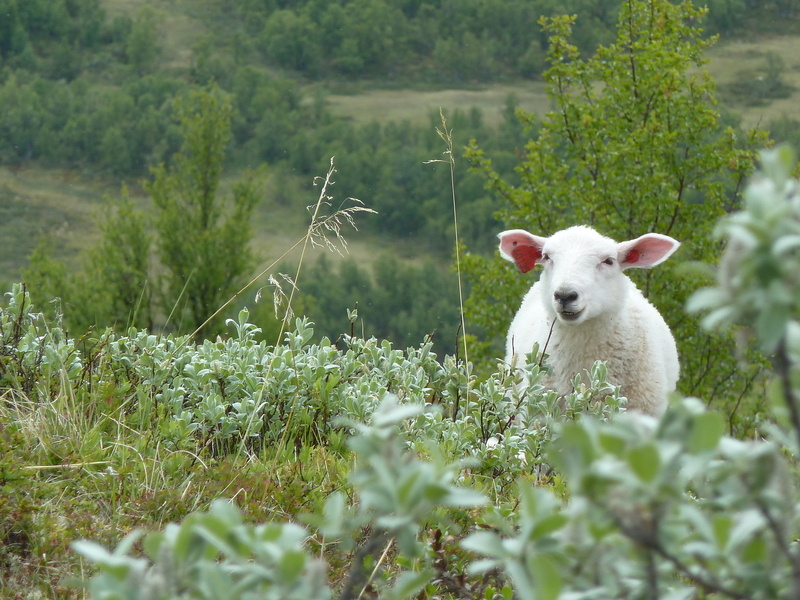 However, it did make sense because sheep like to chew cud in the heath, and the sheep were hanging out in the heath a lot. Besides consumption of the vegetation herbivores often affect the system much by trampling the vegetation, and this is what we think might have happened. 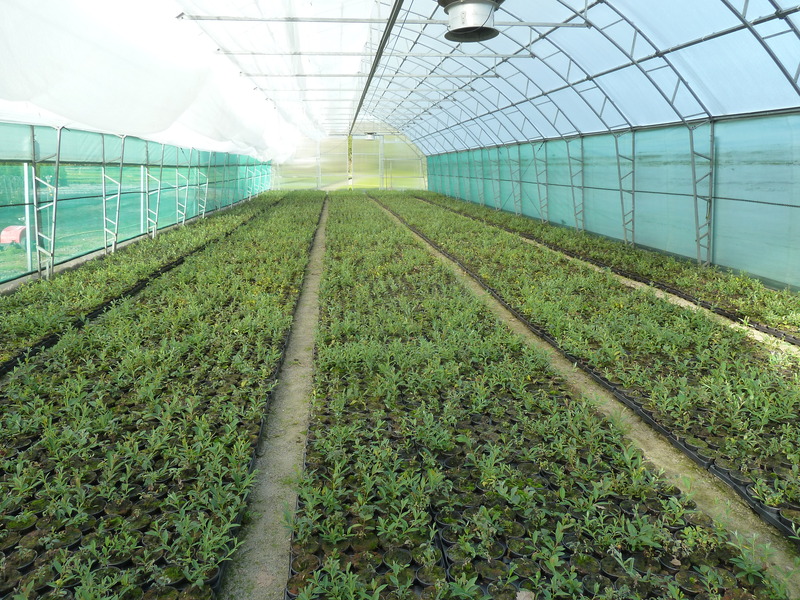 The Salix introduction did not show any effects on the ecosystem in 2015, but we expect that this experiment will provide some interesting results in the future, when the plants have become bigger, and this paper therefore provides important baseline data for future studies. Read the paper on this link.